I am being treated for Fibromyalgia...but of late my tests was 30 minus the arrow is to the left. My doctor is given me a prescription to take once a week. I'm not EXACTLY sure what your level is. Usually, then don't use the arrow unless it's really really low- unless your level is in the units of nm/L- THEN it might say 'less than 30' because that would be almost undectable!! They might look similar, but the difference between them is HUGE. On one, the number 30 is almost normal, on the other the number 30 is almost undectable!! Fibromyalgia and Vitamin D to see why your doctor shouldn't even be ALLOWED to say that you have Fibromyalgia until you have had your vitamin d level tested and brought up to the 'Optimal' researcher-recommended Vitamin D Level. And see what other 'nutritional conditions' your doctor has not likely considered to by your Fibromyalgia Cause. 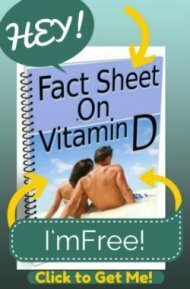 Next, take a look at my page on Prescription Vitamin D to see why your doctor should know better than to be writing you a prescription for vitamin d.
So, get back to me about the UNITS of your vitamin d, Anne, then we'll see how much vitamin d that you need. Thanks for your interest on my case.The above comment Title I give as I see it written on the test. I have just taken a 50,000.00 of Vitamin D (Drisdol).that my Dr. wrote is once a week. For sure Ibet you I will feel less pain in my body. I could not even bend down anymore....Im not obese either....5feet 7" and 153 lbs....I should loose some more weight for the BMI to be normal for me. By now I have read all about the Vitamin D2 and D3.on your website....thanks, thanks. 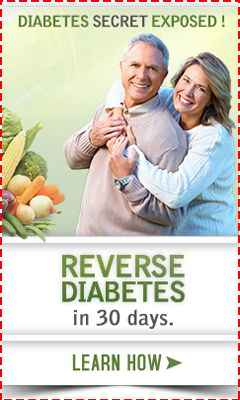 The prescribed vitamin D is 50,000.00 of Drisdol which is D2. I could not be more grateful for all the information you presented. This is the way it shows on the paper where the results are listed. Whatever, let me know....I cant write any other numbers cause there are none. I wrote mL capital letter on L.
So, you have put exactly the right things for me to understand what it says there, but the laboratory is not putting what they are supposed to. The symbol and number that you put means 'less than 30'. But that is not an adequate number for a real laboratory to put there. A vitamin d level of 5 ng/ml is very different than a number of 28 ng/ml- which are both 'Less than 30'. So, you may want to ask your doctor when you get a retest WHY they use that lab and to have him call the laboratory and ask about these numbers. It is just simply not acceptable to give you a number of 'less than 30'.